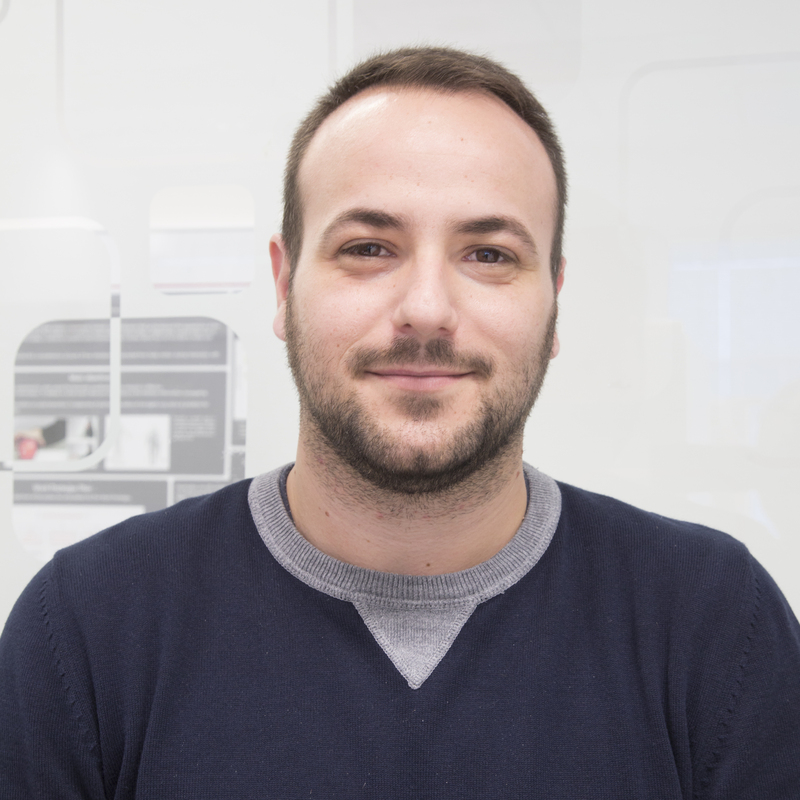 Marco is a PhD student in Neuroscience at the University of Turin under the supervision of Prof. Cristina Becchio and Dr. Andrea Cavallo. Marco obtained his Master degree in Neuroscience and Neuropsychological Rehabilitation at the University of Bologna, in 2014, with a thesis concerning the investigation of cortico-cortical connectivity within the human motor system at rest. In 2015, he carried out an internship at the Centre for Brain Sciences at the University of Essex (United Kingdom). During this experience, he acted as research assistant in a study investigating the neural plasticity within the human visual cortices by means of Theta Burst TMS and cc-PAS (cortico-cortical paired associative stimulation). Marco is currently involved in the study of the relationship between the properties of prehensile movements and intention understanding. In particular, he applies advanced methods in psychophysics, neuroscience and kinematics in order to study the ability to extract information about an actor’s intention via action observation. Long-latency modulation of motor cortex excitability by ipsilateral posterior inferior frontal gyrus and pre-supplementary motor area. Scientific Reports, 6, 38396. doi: 10.1038/srep38396. Soriano, M., Cavallo, A., Becchio, C. (2016). Matching action observation to action execution. 6th IMPRS NeuroCom Summer School, “What make us humans?”, Leipzig.